Construction kits are the tools all producers need to furnish their tracks into listenable and danceable party anthems. This collection of wav loops not only delivers in that aspect but also uses the wav technology for added value. The team of talented brains at VIPZONE SAMPLES has been able to put together a collection of 280 loops with additional drum loops and synths. With such quality loops produced in great numbers, it is sure to keep the Electro lovers loyal to the product. All electro vol. 1 construction kits have a royalty free assurance with a 250 MB collection of powerful drums and synths that any amateur can work with. They are completely simple to use but have an unmatched skill in the end result. For easy use, the wav loops are organized in folders; with every folder you get an assortment of drums defined in full loops, bd loops and 1 to 4 percussions which vary with kits. Also in the compilation are 2 well sidechained synths and some extras loops with a miscellaneous FX touch on them. For each folder in the construction kits, VIPZONE SAMPLES threw in 2 or 4 FX loops to widen the variety the producer or Dj has. The 280 loop tempos run at 128 BPM and can be used for the simplest to the toughest production works in music. All the drums and synths are carefully tailored to customer satisfaction so you don't feel duped on your hard earned cash. 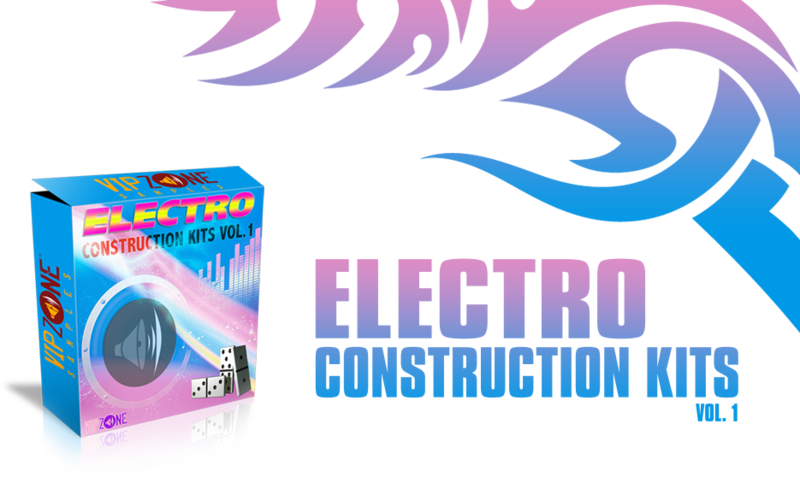 The Electro construction kit vol. 1 is a 30 all new style Electro loop compilation. It is built to simplicity to help you deliver appealing tracks that stand out from the rest. But you first need to buy it to enjoy the benefits. This Construction Kit contains 30 Electro Kits including drum and synth loops for creating your own tracks in a very easy way. Total 280 Electro loops including drum and synth loops. Royalty Free. Construction Kits (WAV Loops) including Drums and Synths for your Electro Productions.